but I had yet to try it. 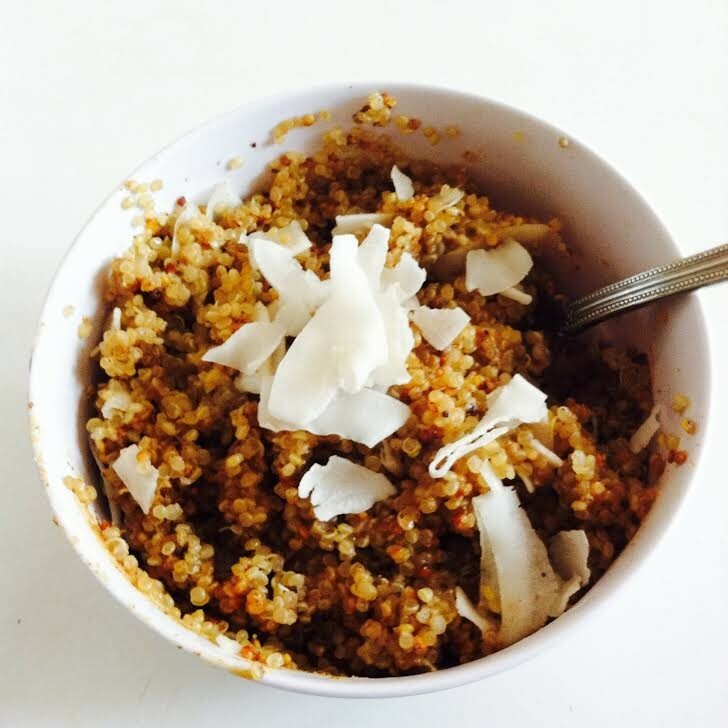 almond butter and the quinoa and is sure to keep you full for hours. Bring the quinoa and coconut milk to a boil. Stir in the spices. Cover and simmer on low for about 15 minutes. butter and sprinkle coconut on top.